This is not compatibility issue, this is not supported. In next few days I will try to add Windows 8 server as additional domain controller, and then move FSMO roles to Windows 8 DC. Currently I’m pretty confused with this. 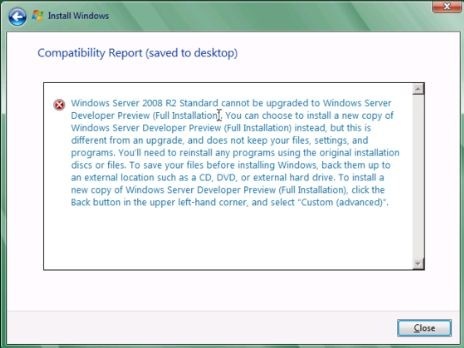 Why Microsoft is not supported old fashion way of upgrade? Because of DP version or something else is not compatible?